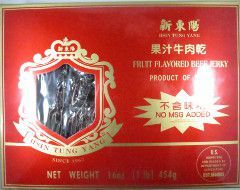 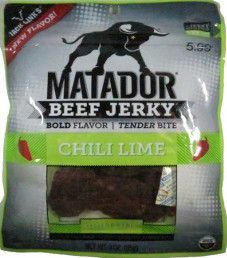 The first review on Hsin Tung Yang will be on a 1 pound/16 ounce/454 gram bag of their fruit flavored beef jerky. 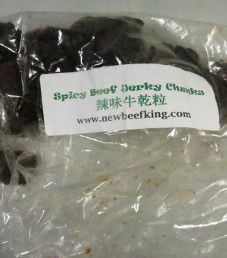 Note that is the net weight, which includes the plastic bag that weighs 18 grams. 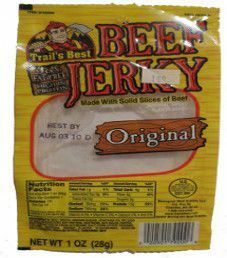 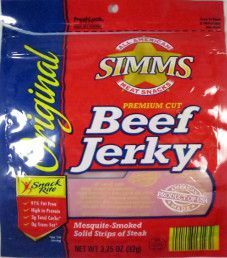 This jerky was given to me as a gift while visiting North Arlington, New Jersey in late December 2014.